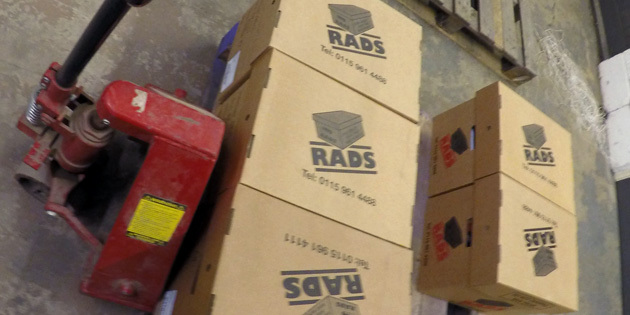 RADS were established in 1993 and have been providing a fantastic range of services to businesses within Nottingham and the surrounding areas ever since. Our range of services includes document storage, document scanning and document shredding, all of which are great to enhance the running of your business. We work with all kinds of different documents and types of information, using a flexible approach in order to create great working relationships with all of our clients. 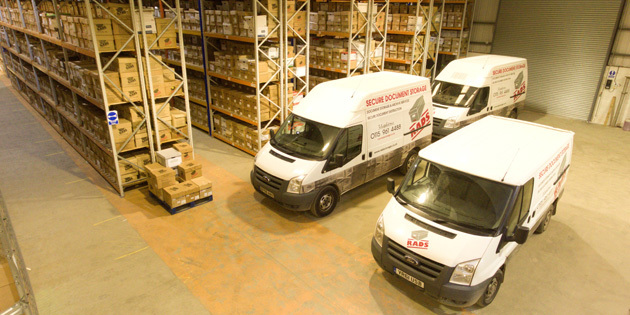 In order to provide the very best service possible, we work closely with businesses providing secure document storage in Nottingham, tailoring our services to their requirements and working to their every need. Many businesses within the Nottingham area use reams and reams of paper when working on a daily basis, meaning that it can often become difficult to store documents that are no longer in use. 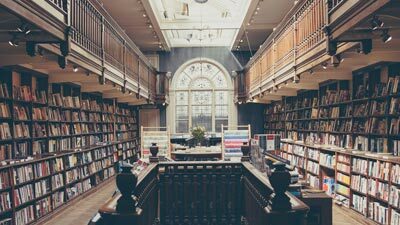 Document storage Nottingham is a very helpful service that we provide to businesses within Nottingham and the surrounding areas, helping to de-clutter their office and make it more organised, making more use of the space available to them. Reduce the risk of theft by storing documents remotely. Have easier access to your data through our unique management system. 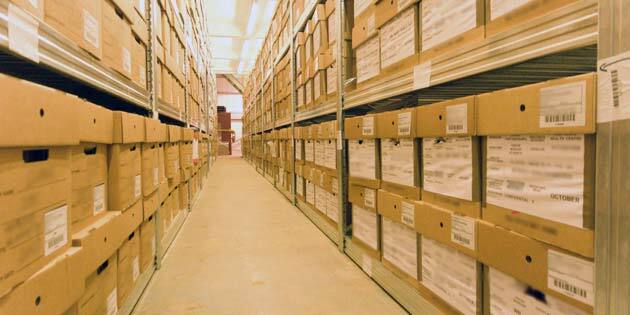 Documents are stored in our double-gated, CCTV monitored base which holds fireproof vaults and strong rooms. 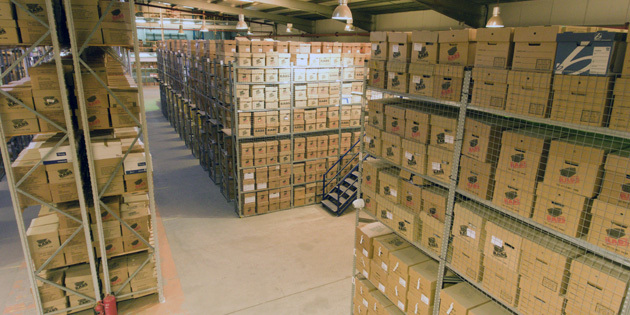 Paper documents and files are stored in flame retardant boxes. Documents are collected and returned in our secure fleets. Our fleet of specialist vehicles can collect documents from Nottingham based businesses, safely transporting them to our CCTV monitored premises. To securely store your documents, we use scientifically designed boxes that are flame retardant and created specifically to be stored in an organised way at our base. We use a unique management system to ensure that we can track and locate each individual box, as well as obtaining relevant details about it. 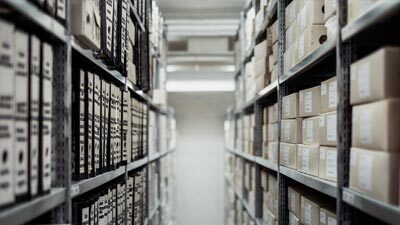 If you would like to find out more information about our document storage in Nottingham or would like to find out further how we can help your business, please contact us. By using our document scanning service, businesses within Nottingham can develop the way that their business operates, working with more online data and information. Not only does this mean that your office can be much more tidy and organised, but it also means that you are able to access the files much more easily, without the need for searching through various other documents before finding what you are looking for. Nottingham based businesses can expect us to collect your documents for free, as many times as is necessary for us to complete the service. Once we have fully scanned all of your documents, you will be given quick and easy access to your documents digitally, and your documents will be returned, stored or destroyed, depending on which option you would like to take. 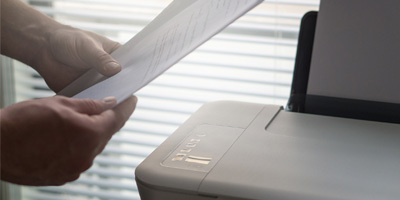 Document scanning Nottingham is very helpful to businesses within Nottingham and the surrounding areas, streamlining the way that they work and creating a better working environment overall. If you would like to find out more about our document scanning services in Nottingham or would like to find out how we can help your business, please contact us. It is your duty as a business to ensure that all sensitive information regarding clients or customers that you work with is properly destroyed, so that it cannot get into the wrong hands or be used in the future without permission. That is why we provide a comprehensive document shredding service that includes free collection of your documents, as well as the confidential destruction of them. 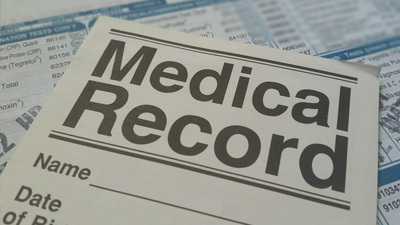 After receiving written instruction from you, we will ensure that we protect the documents at all times, and then use the latest techniques in order to completely destroy the documents and any trace of the information that they contain. 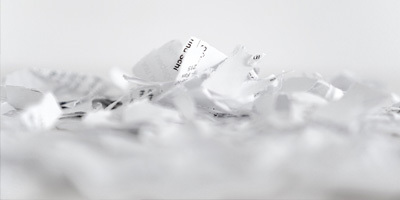 Document shredding Nottingham is a great service that we provide to our customers, helping them to tidy their office and make it a better working space, as well as helping businesses to fulfil their duty to destroy such types of documents. 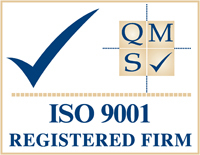 We are very committed to providing excellent document management solutions to all of our clients, helping to benefit their business in any way that we can. Get in touch if you would like to find out more information about our document shredding services in Nottingham or would like to find out how we can help your business, please contact us.